Hi everyone, I'm trying to get my siblings something Pokemon-related for Christmas (I'm determined to keep them into it too lol). I don't care about bootlegs since they are between the ages of 6 - 9, but I would prefer higher quality stuff for them as they're liable to break it. xD I am looking for figures or plush, something they can play with. If you have anything I could get for them that would be shipped in time please let me know! In addition, I am looking for the Giratina Tomy plush (Origin and Altered) for myself. : P Here are the rest of my wants. And I added a few new things to my sales. Sorry for the boring post. Attention, comrades! Effective yesterday, denkimouse will be taking a break from moderating duties until the move-in process to her new house is complete in early January. Wish her luck! allinia, godudette, dewott, and I are happy to address any and all issues either through the Report a Problem post, or through private communication if you feel more comfortable with that. If something is so serious that we cannot collectively handle it, rest assured that Gin will be alerted. Thank you ahead of time for your understanding and cooperation! 1. Check the actual rule! Recently, there have been a lot of "corrections" made that actually provided incorrect information! This is very bad because even if someone's mistaken paraphrasing of rules is ultimately corrected, members who saw the initial comments might not be present for the follow-ups. 2. Let a moderator know! Reporting the problem to that posts will not get a member in trouble for innocent mistakes, and the Report a Problem enables whichever moderator is online first to handle the issue ASAP. NOTE: Members also may kindly let others know of rule infractions. If you choose to do this, you must first make sure no one else has already done so. If the original poster (OP) is having trouble editing their post to comply with the rules, you are more than welcome (and encouraged!) to jump in and provide assistance. However, they do not need to be advised of rule infractions more than one time! There is no need to chime in and agree with someone who got to it first. It's also recommended that the rule in question be copied/pasted to the OP to ensure proper wording. Don't do this! It can be very stressful for a host who might not be familiar with exact pricing to be told their claim prices aren't high enough. If you have concerns that the fair value isn't being claimed, let a moderator know. Remember, claims don't have to be the exact last selling price(s) of the item. Personal judgement should be used. If a claim leaves you thinking, "well, that's a bit low" it's probably fine. But if your immediate reaction is, "HAHAHAHA, is that some sort of joke?!" then there is likely an issue. Just let us know. Any images outside an LJ cut must be no larger than 500 pixels wide and 600 pixels tall. We're trying to avoid breaking out community page/members' friends pages with this one. Pictures under a cut are unrestricted. New posts announcing that a GA/GB was won or lost are unnecessary. Just update your original post and/or reminder post with the results! Participants should check back to determine whether or not to expect invoices. Fun fact: If you already have sales permission and experience co-hosting GAs/GBs, finding a co-host is completely optional! If your buyer/GA participant does not receive their item within 35 days of sending the first payment, they will be encouraged to re-establish contact with you to determine if opening a Paypal dispute is necessary. Is it necessary? If you are unable to provide proof of postage or the item doesn't show up soon, then yes! Buyers/GA participants should wait until closer to the 45-day mark (Paypal's time limit) if the seller/GA host(s) are maintaining good communication and making fast progress. If extenuating circumstances prevent the seller/GA host(s) from mailing things out before that time, they will need to issue out temporary refunds to renew the dispute time limit. Paypal disputes will NOT be delayed past the 45-day mark solely based on promises that the item(s) will be mailed out "soon," nor will they be closed for that reason. There has to be a receipt/customs form provided, or the package has to arrive. Proof of postage must be maintained to avoid being financially responsible for mail that doesn't turn up! Sales reminders should not occur more than once every couple of weeks unless there's a significant change in stock (a reminder within the same week is okay if you don't plan on advertising again in the foreseeable future, similar to how GA reminders function) . Wants post should 1) be consolidated, and 2) not be posted more than once a month or so. Give people a chance to get additional stock/find more lots of merchandise/etc. Thanks, everyone! Please don't hesitate to express any questions, comments, or concerns you may have! For ideas that may change the ~entire course of the community~ as we know it, or even things less creepy and dramatic, check out the Suggestions Post! To make sure you don't miss on-going discussion, consider "tracking" the post by clicking the thumbtack icon in the toolbar directly above the post's title. That way, all comments will go straight to your inbox! I'm not looking to spend a whole lot on it, maybe $5? Hey community, I have a few questions & some "letmeshowyoumypokemons"
(WANTED!) 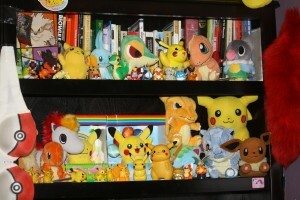 I am also still looking to complete my Rainbow Series Pikachu collection (I only have 2 ). So please if you have anything Rainbow Series Pikachu, please throw it at me! Sales, Hiatus, Update, Talking Chillarmy, and vulpix lovers! I apologise to all of you for how long this GA has taken. There was a problem with the shipping and to make a long story short, the package has been across the USA. ^^; But it's here now and I've got shipping totals calculated and extras pictured. Please take a look! As I now start to sort through my giant lots, I'll be doing periodic sales posts with certain items just to make my life easier than trying to sort through a zillion items to find the one you wanted so I can get you a quote. I'm Chantilly from France! I'm 23 years old and a fan of pokemon since red & Blue version. When I was child I had many gashapon but my parents sold all when I grown up, I'm angry about that! I don't collect pokemon merchandises since long time, juste few years ago. Now I want to collect pokedoll & pokeplush, especially Pokemon that I like (Buneary, Manaphy, groudon, eevee and his evolution, and some others). Also I recently fell in love with "la maison de eievui" collection! I find your community by chance in google image, and I am impressed by all your collection! Thank You for read my introduction. For the first time in months, blackjacksales is updated and ready to rock! And I return bringing a bunch of goodies for your gifting enjoyment! Some of them are even Christmas themed! And lo, it is auction time! Appearing in the west came a star and the star's name was HOLIDAY AUCTION! -Specifically at 5 PM Pacific time. Things will be shipped out on the 21st (I'm going out of town for the weekend) so you NEED to be able to pay me in about 16 hours from closing time if you want them for Christmas. 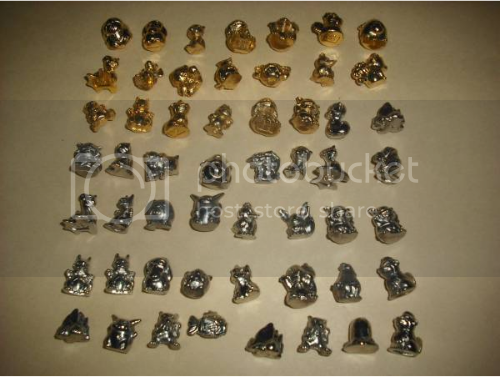 -Bid by increments of a dollar, except on the ornaments, which have an increment of 50 cents. -If you have any specific requests for shipping, let me know BEFORE I ring things up. -everything is up so go nuts! 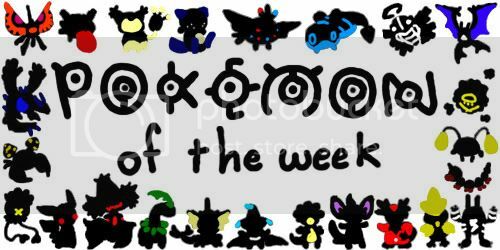 Pokemon of the Week!! Welcome everyone! :) Let's see who this week's pokemon is!! cross your fingers for your favorite and let's roll the dice! Huge sales update, and some rare auctions! - All pkmncollectors rules apply. -I ship from British Columbia, Canada. International orders are welcome! -I live in a non-smoking house. We do have one cat, but he is kept away from the items. Cat hairs do travel, though. D: I will clean them as best as possible for you. -Haggling is welcome! If asking for quote, item will only be held for 12 hours. If I don't hear from you it will be passed on to the next person. Holds can be for up to 24 hours. -Once committed to a purchase no backing out. If you do, I will leave negative feedback. Base price to USA for small packet ground is $7. I can fit a lot of things in a small packet. No, I cannot do anything about the shipping price. IF you purchase over $50 of stuff, I will give you free airmail shipping. Base price for International is $9 for airmail. No, I cannot do anything about the shipping price. I'm sorry. But I can't. Below you will find tons of plush and neato items, as well as a few interesting items up for auction such as a Halloween Espeon, and a 2009 Eevee Tail charm. <3 Please come have a look! Most of them went out last week, a few stragglers are going out tomorrow! Do let me know if you got your items all okay and if you would like to trade feedback with me then I'm all for it! As for the VS cards GA, i have requested the shipping total and awaiting a reply! It took a while due to the seller from Y!J being slow on shipping it to the middleman possibly :S So sorry for the delay folks! I'll be PMing you guys with your totals asoon as i get the reply. Theres still more to add. I was away for a while, any Maractus/Galvantula items i missed?! All i own is the kids of 'em. And finally a few Commissions. I very rarely do commissions, so its a little one off. I have to offer 5 slots for brown paper drawings~ Also postage is free! Hello everyone! This is just so ya'll who purchased from my Super Duper Keychain Auctions know what's going on. As of now, I have shipped out all the american parcels who paid as of saturday, so roughly half the people. Why? International packages are much more prone to getting lost than american packages (especially small packages, which all of these are). I would rather have your item arrive after christmas than never. PS those of you who haven't responded to me on the auctions need to do so. >:( Imma start pm'ing in a few days.